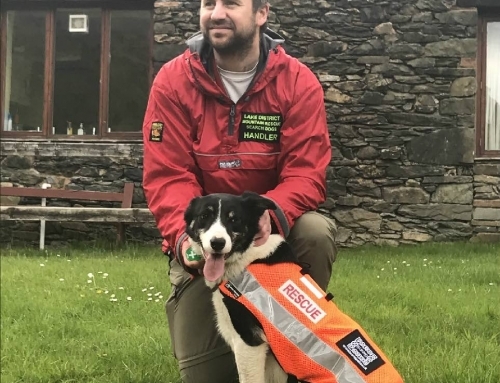 Langdale Ambleside were requested by the Police to search for a missing person who was believed to intend serious self harm. 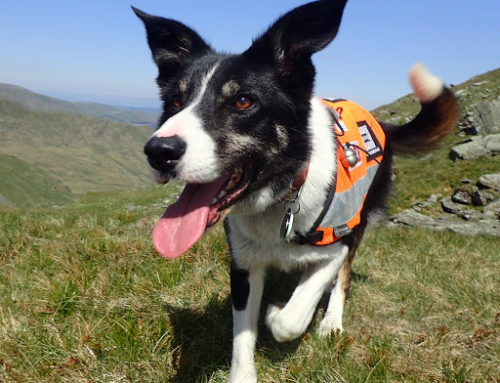 The Team were deployed to search paths from Stone Arthur to Fairfield. 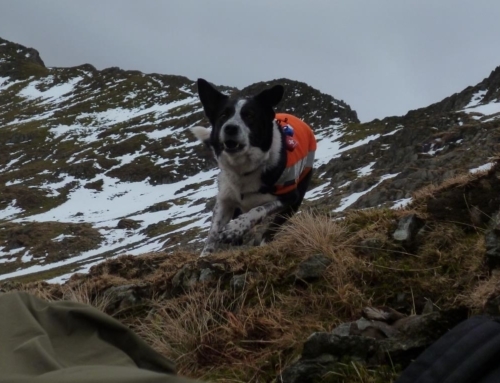 Search Dog Ted struck on Gt Rigg, with a clear strike towards the missing person, but a helicopter appeared, and he returned. The team were then told to walk in a transect from where Ted struck in line with the helicopter who could see the casualty whilst on other side of valley. The casualty was located well camouflaged in a boulder field; Ted struck again, but was called back from barking considering the casualty’s state of mind. He was sat on edge of a long drop. The dog handler and another Team members sat with him, and talked to him for many cold hours. At last he agreed to be stretchered down. 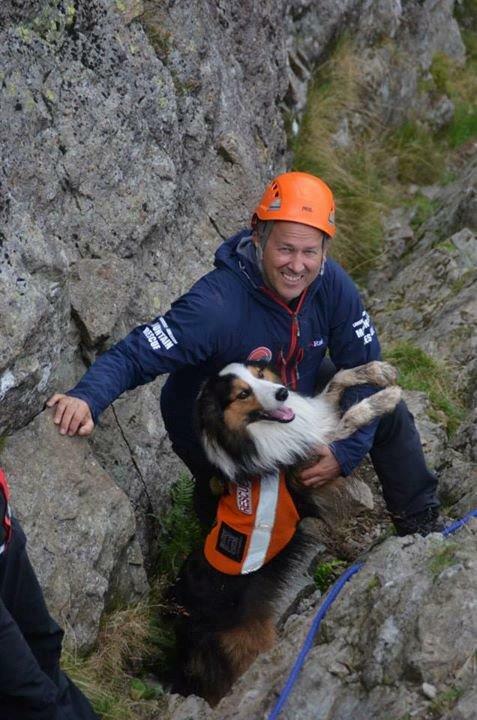 This was an epic rescue in very wet and windy conditions, with snow on the ground.